Sowing, growing, harvesting, drying, creating for your special day! I love flowers, any which way but I've a bigger, new found love for dried flowers that has been slowly creeping up on me. Not only beautiful but sustainable and cost effective. 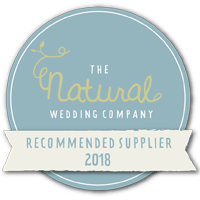 I am a trained florist specialising in creating bespoke wedding designs using natural dried flowers that I have mostly dried myself. Where possible I grow the flowers myself here in Sussex, others are sourced from British growers. Each wedding item is made to order, as seen in the photos, or tailored to your own ideas for your special day. If you have a custom order please message me through the contact page and we can work on a bespoke design just for you. I dry all the flowers using traditional techniques to ensure the colours stay vibrant. If, like me, you adore flowers but are looking for a more sustainable way to enjoy them, then dried flower designs are perfect for you and will provide an everlasting keepsake and reminder of your special day. They are also perfect for weddings overseas and especially if you want a bohemian or vintage feel. All items can be purchased well in advance of your big day.